The bigger they come, the harder they charge. As someone with two film degrees, I want to tell you something that may come as a surprise; I hardly ever go to the cinema. It’s nothing to do with downloading, only partly to do with not having as much disposable income, but mainly due to the state that cinemas and their latest releases have found themselves in these days. Like many things it pretty much comes down to money. More than than just how much is in my own pocket though, budget day seems as good a day as any to talk about big companies trying to make as much as they can get away with. Yes, big companies have big expenditures, but they also have more seats to put bums on. Surely they could be more helpful at meeting us in the middle somewhere? 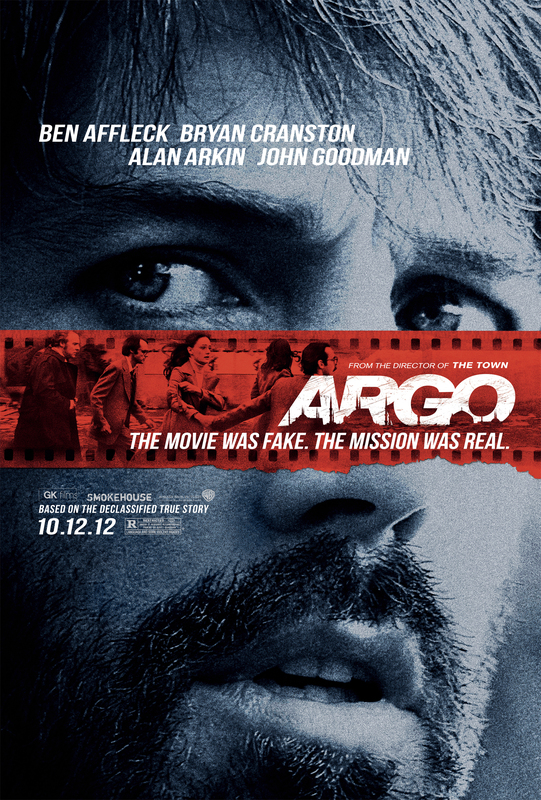 ‘Argo’ is available on DVD from WHSmith for only 14p more than a single Odeon ticket. I currently live in Devon, and a trip to my local Scott Cinema, any time of the week, is £6. If I want a VIP seat, or have to watch anything in 3D it’s an extra £1.50 (£3 for both). If we compare this to the Odeon I begrudgingly visited in Colchester while at university, we find that even an off peak ticket (mon-thurs, before 5pm) including a further discount for seniors or students would still be more expensive. I saw The Hobbit in 3D with VIP seats here for less than I’d have to pay for a standard ticket at the Odeon. Needless to say, trips often occurred on Orange Wednesdays. Back in my ex-local cinema, the Commodore in Aberystwyth, I would now only have to pay £5 (£4.50 on mondays). More than just charging only an extra £1 for 3D, they also have a bar and a car park that is free after 6pm. Considering all three cinemas I’ve been to are either situated slap bang in the middle, or within walking distance, of the town centre, the only real difference is the size. The Commodore is an independent cinema with one screen, my local which has four is part of a small chain, and I have to admit I lost count at Colchester Odeon. Forgive me if I’m wrong, but I thought that the bigger a company, the cheaper the deals it could offer? Supermarkets and horsemeat aside, if we use J.D. Wetherspoon as an example we can see that it offers exactly the same pints as any other pub, but does so at a cheaper price. Even with a bigger infrastructure, they can still do this because they get what is essentially bulk discount on a national scale. I don’t doubt that pint and print distribution work in different ways, but surely the principle is the same? I’m not for a minute telling you to walk straight past your local, overall they’re often the better places (both pubs and cinemas), I’m just wondering if maybe the situation has now got to the point that for so many cities and larger towns, the huge chain cinemas have already squeezed out any smaller competition. This in turn has given them a monopoly that has left the majority of audiences with no choice but to pay whatever they demand. Even with my less than frequent visits I’ve seen the cinema advert/plea of a cobweb laden auditorium, and unless anyone can offer me a legitimate reason as to why big chains ask for so much when an independent cinema on the edge of Wales can charge less than a fiver for the same thing, I’m sure ticket prices are a major factor that’s drawing in the cobwebs. Yes, internet piracy is also a factor. Some time ago I wrote an article for The Rabbit, Essex SU’s student newspaper (links will be added when they become available [EDIT: this particular article can now be found here]), which puts forward the argument that piracy hurts the diversity of films, and encourages brand recognition (something else that keeps me away), but allow me here to consider this in terms of cinema audience figures. The more people download films, the less they go to the cinema, and so the more cinemas charge? In head office propaganda & justification theory, yes that’s how it works, but surely the more cinemas charge, the more people will download? Another largely overlooked factor, is not just box office takings, but the records they produce. The list of top ten worldwide box office takings contains only three films that were released before 2009. These are some of the most important figures that matter to Hollywood (one day I’ll do a post about why they shouldn’t be), and in today’s environment of appealing to the lowest common denominator by churning out sequels aplenty (there are also only two original films in the top ten), it is often the studios and distributors who are just as guilty. By parting people with as much cash as they can afford to, the higher up these charts they can climb, and the more they can boast about being ‘successful’. Despite being #1 on that list, James Cameron’s Avatar still only managed second place to 1939’s Gone With The Wind when adjusted for inflation. The film was an innovative use of 3D, but much like Gone With The Wind and colour photography, it was made at a time when it was a spectacle the likes of which nothing could come close to rivalling. Today however, the technology is now taken for granted and abused. With cinemas worldwide having invested in it, what Cameron helped to engineer as the next step in immersive storytelling is now being flaunted as a cheap gimmick the bigger businesses are using to increase ticket prices without so much as a second thought. Rather than offering anything extra however, these prices now seem only to serve an investment that had so much not already been spent on it, probably would have gone the way of the Betamax. It only works if the effort is put into it, and regardless of the fact many people physically can’t watch it, many more are becoming disillusioned by the fact that such visually stunning films like Life of Pi (which itself is emptying the pockets of visual effects companies now in administration) are too few and far between, and the standard conversion process often achieves only sloppy results. Some moving action shots are often made worse by 3D. It is also because of this that 3D seems to be going hand in hand with downloading, but rather than giving audiences a better experience they can’t download, it could actually be making things worse. By processing the action heavy summer blockbusters (those often topping the download rankings) into 3D, the only thing studios and distributors are doing is to make those same action sequences blurry and confusing. 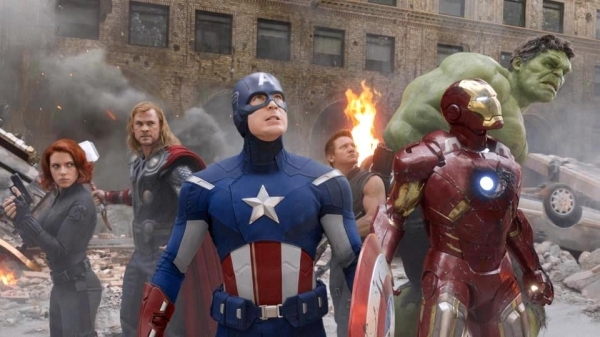 I was disappointed to find that the best 3D effects in The Avengers were the pre-opening credit company logos, and I have to say that the classic ‘camera circling the surrounded heroes’ shot looked far better in the small screen trailer than a 3D cinema. The fact that there is a growing trend in 3D films that are not being given a 2D release in the UK only makes thinks worse. So what does the future hold for my own cinema going? Just because I can now afford to go more often than I did this time last year, only by virtue of living the country, that is not to say I am any less picky. For a start, I am pleased there are groups such as Where’s My 2D? which are campaigning for studios and cinemas to go easier 3D distribution, and even lobbying equality ministers in parliament on behalf of those who physically are caused actual pain by 3D, and it is a fight I wholeheartedly endorse. But while I’m still looking forward to watching several films on the big screen, a list that includes the likes of Robot & Frank and Welcome to the Punch more than Iron Man 3, I have to that as much as I prefer the event of going to the cinema, watching a DVD on my comfy sofa is still my viewing method of choice. Whilst you should never underestimate the discovery of an overlooked classic in a charity shop, I can only look forward to the time when the cinema is back in it’s number one spot. The ‘Lie To Me’ effect? Promo image for ‘Lie To Me’ season two. Having been curious ever since I first heard of it, in the January sales I finally bought myself the complete Lie To Me boxset, which I have just finished. Not that I often buy boxsets merely on a whim, my curiosity had initially led me to watch several disparate episodes on TV, at which point it most certainly had my attention. The detective style series focuses on the character of Dr. Cal Lightman (Tim Roth), a published psychologist who spent years studying the universality of human facial expressions in remote populations, before founding the Lightman Group, a private company of psychologists and deception experts. Like similar series in recent years, the science behind Lie To Me is purported to be genuine, but unlike those such as C.S.I., it has a unique element which helps support this claim. Where C.S.I. creator Anthony E. Zuiker has stated that “all of the science is accurate and we have real C.S.I.’s on staff that help us write the scripts and make sure everything is executed perfectly“, Lie To Me credits Dr. Paul Ekman as its scientific consultant on microexpressions, the Facial Action Coding system, and the whole pallet of tools used by Lightman and co. More than just one of a crowd however, Ekman has studied human psychology, emotion and body language in places such as Papua New Guinea, co-authored a book on Emotional Awareness with the Dalai Lama, pioneered the science of “deception detection”, and is also the C.E.O. of The Paul Ekman Group. As I’m sure you’ve spotted, the unique inclusion of Dr. Paul Ekman is somewhat of a double-edged sword. Although C.S.I., along with its host of generic but original characters, contains rather liberal doses of “fudging for dramatic purposes” , it is clear to see that even if only in terms of the scientific psychology and it’s application in Lie To Me, Lightman is Ekman. Without wishing to pick on C.S.I., I have used it here as a comparison for several reasons, firstly, the fact that of all the recent scientifically inspired detective procedurals, it is easily the most popular, and most recognisable. Mainly however, it is because of what is commonly referred to as the “C.S.I Effect“, the idea that people’s watching of on-screen fictional (and often inaccurate) forensic science will affect their perceptions of real life forensic science. Something reported to have been seen particularly among jury members presiding over actual cases, and even criminals attempting to cover their own forensic tracks. So if C.S.I. and it’s skewed (for lack of a better word) science can influence members of the public, what about the more closely guarded science of Lie To Me? Throughout it’s three seasons, the show not only depicts portrayals of microexpressions, facial expressions that are so-called because they are so quick and hard to spot, but those performed by the actors are often punctuated with still frames of those same expressions seen on the faces of politicians and other public figures under similar, often high pressure, situations (think Clinton and O.J.). Whilst these still frames are ostensibly another means to ‘show, not tell’ the emotion of characters, they also underpin the universality of microexpressions, and the science behind reading them. If, as the C.S.I. Effect claims, people take in and believe what they see on-screen, how much is Lie To Me teaching them about body language and deception detection? More importantly however, how much do people believe it is teaching them? The disclaimer which accompanies every episode. Although an interesting question, the consequences of any “Lie To Me Effect” are not likely to be talked about. More than those who disbelieve the C.S.I. Effect, Lie To Me was cancelled after only three seasons, and did not achieve the popularity heights enjoyed by C.S.I. With a smaller, audience, there is less of a chance that audience will contain members who have be described as “gullible“, and even “incredibly stupid“. Something which also seems to fit the trend that the longevity of a show often (but not always) seems to be inversely proportional to it’s quality, but that’s a discussion for another post. Each episode begins with a disclaimer, and through the DVD special features (admittedly not available to a TV audience), Ekman and his team personally explain how, unlike their own, the science seen in the show is not immune to artistic license in order to tell entertaining stories. Despite this however, those same features also show footage of the Ekman group scrutinising the cast and crew interviews in the same way the Lightman Group scrutinise their own. But if we were to consider an answer, what would become of people who believed themselves to be lie detectors, purely from watching a fictional TV show? Whether their deductions were articulated or not, regardless of their accuracy, the effect would have far wider reaching consequences than the courtroom, criminal or otherwise. If viewers of C.S.I. really do go to extreme lengths to cover the tracks of their illegal activities, what lengths would they go to in order to cover their incriminating microexpressions? Lie To Me shows us that through the subconscious nature of these quick as a flash facial expressions, they cannot be faked in the manner of general expressions, and the only ways to avoid making them are either through taking muscle relaxants such as valium, and the use of botox, or cosmetic surgery. While there are some people deeply engrossed in the specifics of the HD-DVD/Blu Ray battle for supremacy, it is fair to say that most people are still blissfully unaware of said battle. And many of those who are aware just don’t give monkey’s simply because HD DVD and Blu Ray really aren’t any better than DVDs in the first place. When DVDs first came out, everyone was wowed with the better picture and sound quality, interactive menus, bonus features, and all you had to do was buy a new video player. Now, no-one’s getting excited because you not only have to choose between the two in a VHS/Betamax style, but whichever one you go for, both will give you the pleasure of having to buy a brand new TV in order to handle the even better picture quality that you really don’t need. Not only this, but because of the superior data storage you only need to buy one highly priced disc at a time. Where a regular DVD would make you go to all the effort of having to actually go to the player, and change discs in order to watch the bonus features, everything now comes on one disc (meaning you are physically getting less for your bigger price tag), so you can now sit and watch everything without having to leave your seat. Toilet breaks are left to your own discretion. But while most sensible people are ignoring this new pointless debate, they are also ignoring the old entirely relevant one at the same time. Is all this new fangled digital stuff any better than analog in the first place. What’s the point in bonus features and web links if the disc can be irreparably damaged by being left on the side. Personally I think chapter selections are a great idea, especially when you need to find the point at which you have to take the disc out and clean off the three specs of dust that made it stop in the first place. When trying to watch M*A*S*H earlier, and after performing the stop-eject-wipe-chapter selection routine too many times, I realised the brand new disc was actually scratched just from having being loose in the box. If I was watching it on VHS, it would have fit perfectly in the box, and the vulnerable tape would have been perfectly protected by the rest of the cassette. I could also feasibly leave it lying around, not having to worry myself about splodges of jam. And it’s not just the home video that has suffered either, as any Star Wars fan will be able to tell you that a puppet can create a better performance from an actor than a soon to be CGI’d over tennis ball on a stick. And what about TV transmissions? If it’s raining outside, how can the picture freezing for ten seconds in a variety of big squares be any better than it going a bit crackly? Even when it went black and white you could still tell what was going on. So am I going buy a Blu Ray player, or an HD DVD player? I think I’m more likely to go on eBay and buy another VHS player before my current one packs up!